Blue skies, sunshine, people sitting around in parks and on stone walls and soaking up the gentle sun. 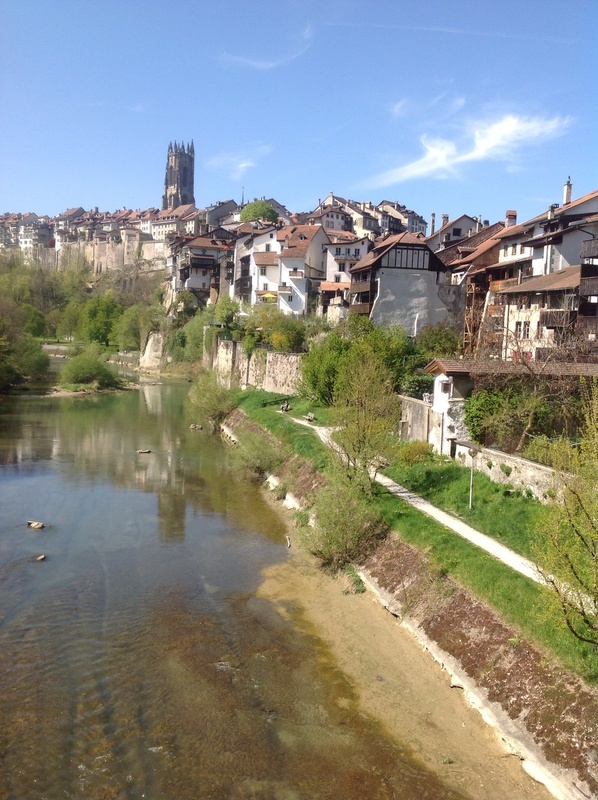 This was our first day in this once walled city of Fribourg. Everything seemed so quiet and still after the hustle and bustle of Hong Kong. It such a contrast. The people even speak softly here. We were sitting in a cafe full of people and all that could be heard apart from our conversation, was a gentle background murmur. 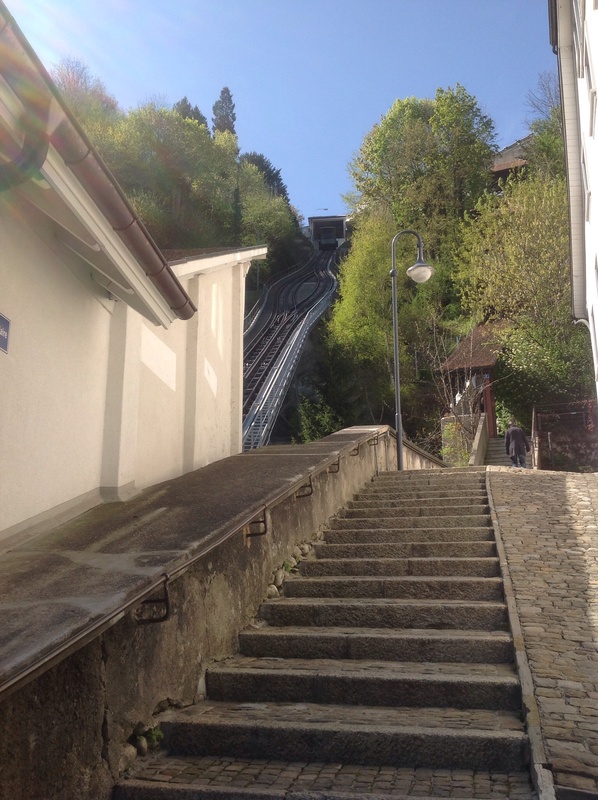 Fribourg has many beautiful and ornate buildings but the most unusual feature of the city is the funicular. This is a tram that is pulled up and down a hill and I have been informed, maybe unreliably that it is powered by recycled sewerage. Two cars operate at the same time and the weight of the top one pulls the bottom one up because the top one is heavier. When it reaches the bottom it is emptied and the top one is filled for the process to be repeated again and again. ← First Stop … Hong Kong!